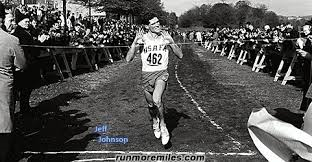 He was possibly the last person EVER to beat Steve Prefontaine in a cross country race. Pre finished 3rd at the NCAA Nationals Lindgren won, and I don't think he ever was beat again. RIP Mike Ryan, seemed like a great runner. Lindgren went to WSU, not UW. I'd be happier if someone else from our team commented, but Mike was one of my personal heroes at the time. I was second from the bottom myself. Mike was good and helpful with other team members like me. He was helpful with others in many ways beyond the field too. And he was a recognized scholar with the California Scholastic Association. He was just plainly a good man who lived a life that counted.